I’m excited to speak at three events in Chicago on October 18 and 19. Details about each Chicago event below. I’m grateful to friends and colleagues in the Windy City supporting this trip. 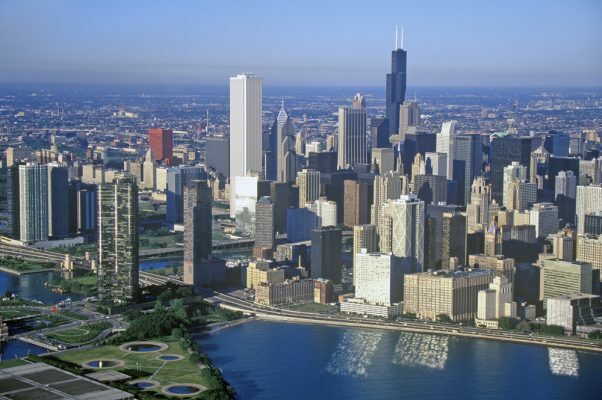 My first visit to Chicago was in 1999 to meet with blind activists Kelly Pierce and Anna Byrne about a possible Structured Negotiation with Bank One about Talking ATMs, accessible print materials, and the burgeoning new technology known as online banking. Coming after early agreements with California banks, that visit led to an opening letter in which the term Structured Negotiation was used for the very first time. The process again proved successful, and settlement agreements were negotiated with Bank One on all three issues. On April 25, 2001, Bank One (since purchased by JPMorgan Chase) issued a press release announcing it had installed the first Talking ATMs in Illinois and Ohio. JPMorgan Chase has continued Bank One’s commitment to accessibility embodied in that initial press announcement. I write about Pierce, Byrne and the Bank One negotiation in my book, Structured Negotiation, A Winning Alternative to Lawsuits. It will be fun to share some of those stories at the upcoming Chicago events. This afternoon CLE (Continuing Legal Education) talk about Structured Negotiation as a Winning Alternative to Lawsuits is sponsored by Equip For Equality and JPMorgan Chase. The session is designed for lawyers from private law firms and corporate legal departments. Equip for Equality is Illinois’ premier disability rights legal organization. and JPMorgan Chase has long been a digital accessibility leader. Continuing Legal Education credit will be available for this free event. Read more about the Equip for Equality/JPMorgan Chase event. Please note: this event is for Northwestern University staff, faculty, and students only except with permission. Please contact me to come if you are not part of the Northwestern community. At this lunch time event titled The Power of Persuasion – 20 Years of Civil Rights Successes Without Lawsuits Lainey and Chicago disability rights lawyer Andres Gallegos will share stories and answer questions about Structured Negotiation. Andres, along with his clients and co-counsel have had great successes with Structured Negotiation in improving health care services for disabled people. Lainey and Andres will share stories of their cases and clients and talk about how Structured Negotiation trades the stress, conflict, and cost of litigation for a process focused on solution and relationship-building. We look forward to questions from students about how to think “outside the box” about practicing law! Read more about the Northwestern University Law School event. Lainey is excited to present the digital accessibility legal update for the “digital accessibility enablers” who comprise Chicago’s Digital Accessibility and Inclusive Design MeetUp. A special thanks to MeetUp organizer Dennis Deacon. This event will be live streamed, captioned and recorded. At the time of the event, the Live Stream will be here and the Live Captions will be here. Sign up for the Chicago accessibility MeetUp event. Lainey Feingold will speak at three events in Chicago in October. She will talk about the law that requires websites to work for everyone. This talk will be with the Chicago Accessibility MeetUp. Lainey will talk about Structured Negotiation to students at Northwestern Law School. She will also speak to lawyers about Structured Negotiation. The lawyer event is sponsored by JPMorgan Chase and the disability rights organization Equip for Equality. Structured Negotiation is a way to resolve legal problems without filing lawsuits. If you need information about these talks and cannot read this post, you can send an email to Lainey.